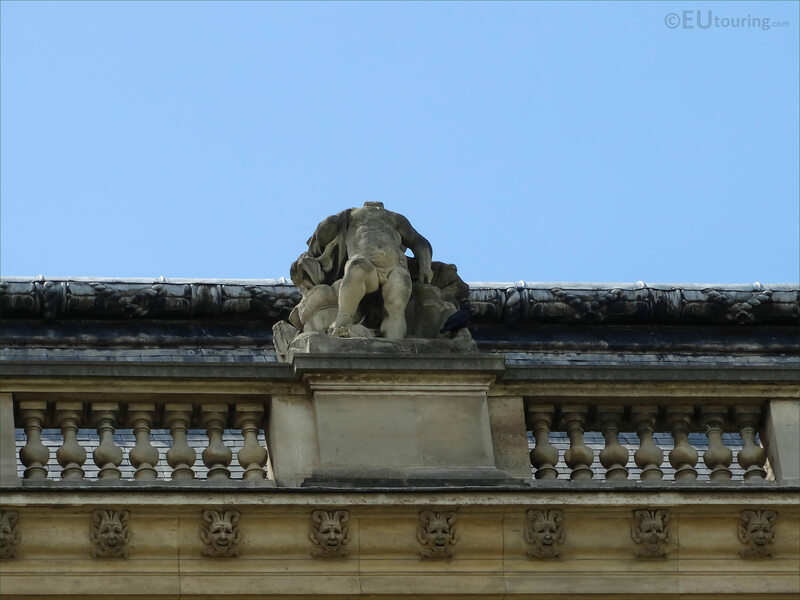 This time while admiring the Pavillon des Etats of the Musee du Louvre in the 1st Arrondissement of Paris, we took these high definition photos showing a statue called Mer, which was sculpted by Jean Louis Desire Schroeder. As you can see from this first HD photo, unfortunately the head is missing from this statue called Mer, which in English translates to Sea, yet the stone statue that was sculpted back in the 1860s is also referred to as the Genie of the Sea. 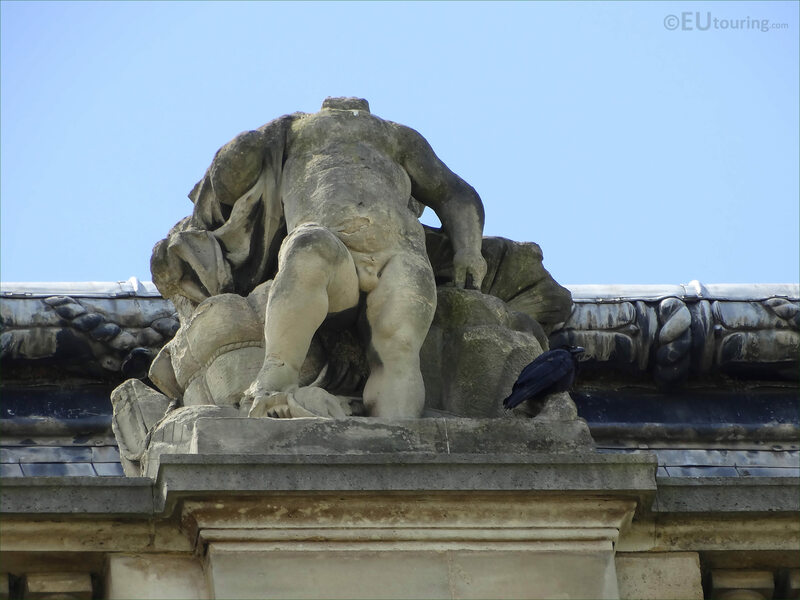 But as you can tell this is positioned on the balustrade by the roof line of the Pavillon des Etats, and when you are looking at the facade of the former Palais du Louvre from the courtyard called the Cour du Carrousel, you will see that this is the eighth statue from the left hand side. Now this particular statue was produced by Jean Louis Desire Schroeder who was born in Paris in 1828 first presenting works at the 1848 Salon for French artists, having been taught sculpture by people such as Francois Rude, which led to many public commissions for statues and sculptures. In fact, you will find that Louis Schroeder, as he was known, produced works for many tourist attractions including several churches like the Saint Etienne du Mont, plus others for the Hotel de Ville, The Louvre Museum, etc, also receiving different medals and awards throughout his career.